1 of 1 Heat grill to medium-high heat. Grill 8 hot dogs for 6 minutes, turning frequently. 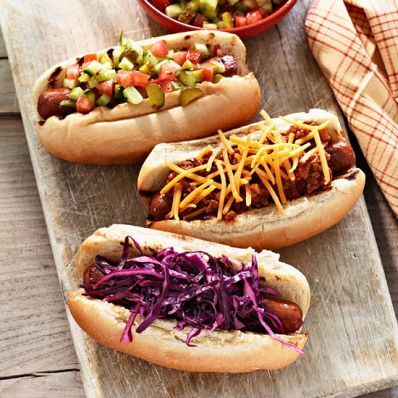 Place each hot dog on a bun and add desired topping.